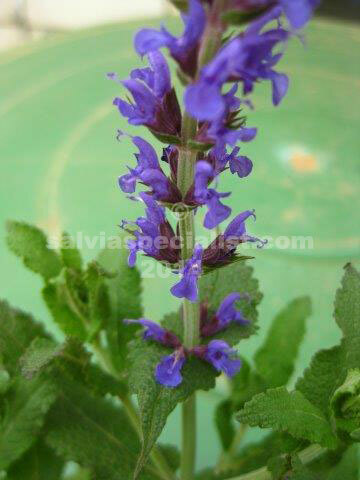 This salvia has a synonym of nemorosa which it is very similar to. Some of the nemorosas have been bred and selected and are improved varieties. Amplexicaulis is said to mean grasping as its leaves enclose the stem. It is winter dormant, drought and frost hardy. It has spikes of small violet flowers to 90cm or so from base foliage . Although it sets seed it could cross pollinate with similar species/varieties in the garden and you might get a surprise.